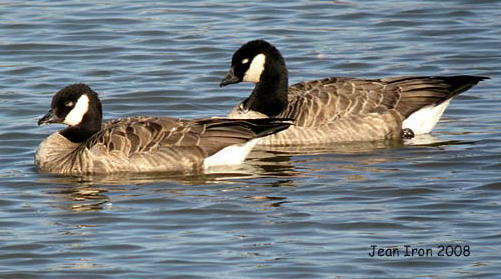 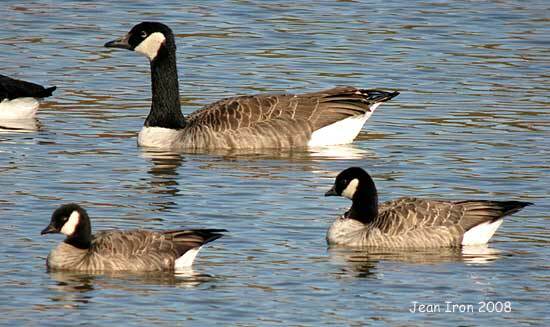 Two Richardson's Cackling Geese Branta hutchinsii hutchinsii in front of Canada Goose at Sunken Pond, 9th Line & Donald Cousens Parkway, Markham, on 10 October 2008. 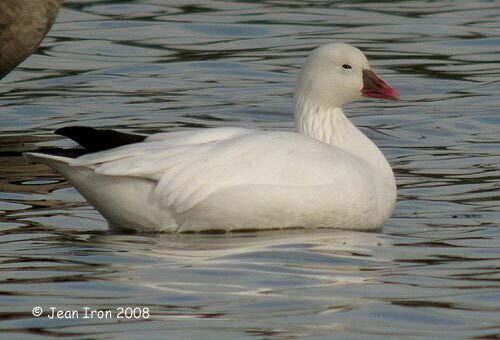 Two juvenile-first basic blue morph Snow Geese at Sunken Pond in Markham on 10 October 2008. 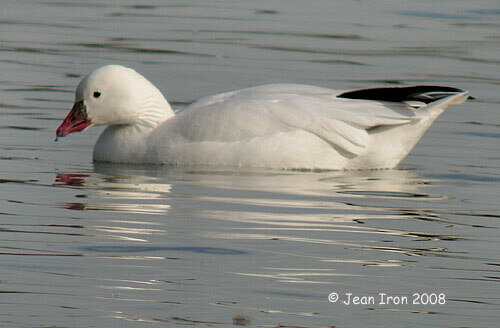 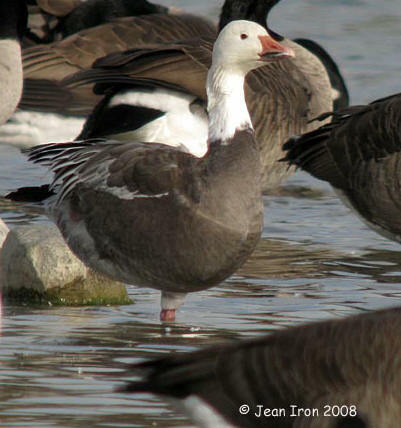 64% of Snow Geese breeding in the Cape Henrietta Maria Colony on the Ontario Hudson Bay coast are blue morph. 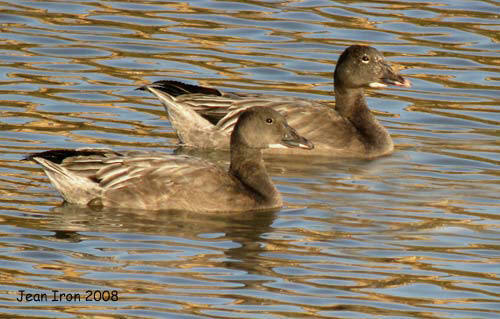 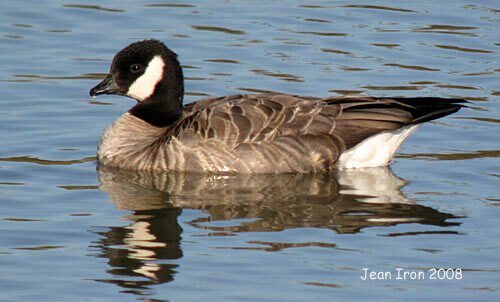 The colony on Akimiski Island in James Bay is 77% blue morph (Ontario Breeding Bird Atlas 2007).